Water fountains are a pretty common sight when it comes to public areas, but this Slovenian town is stepping things up a bit. In order to boost its tourist rates, the people of Zalec, Slovenia plan to build a public beer fountain. Zalec is a small community that houses a population of just 5,000 people. Located 35 miles north of the capital city of Ljubljana, Zalec does not see too many tourists each year. No stranger when it comes to beer, Zalec is known for its hops productions and many hop plantations. Hops require specific conditions and climates to grow and Zalec can provide everything it needs. The idea of the beer fountain came from another Slovenian town that has a fountain that provides free mineral water for its hotel guests. The entire project is expected to cost $400,000 in total with roughly $190,000 coming from taxpayer funds. The remaining amounts are being provided by private donations. The beer fountain will not be available without a cost. It will be six euros, about seven dollars, for three 10.5 fl oz glasses. Each glass will be a commemorative mug that you will get to take home with you as a souvenir. Seven dollars for three beers seems like a pretty good deal, especially when you look at drink prices on the Las Vegas Strip, which could be as much as $15 for one drink. 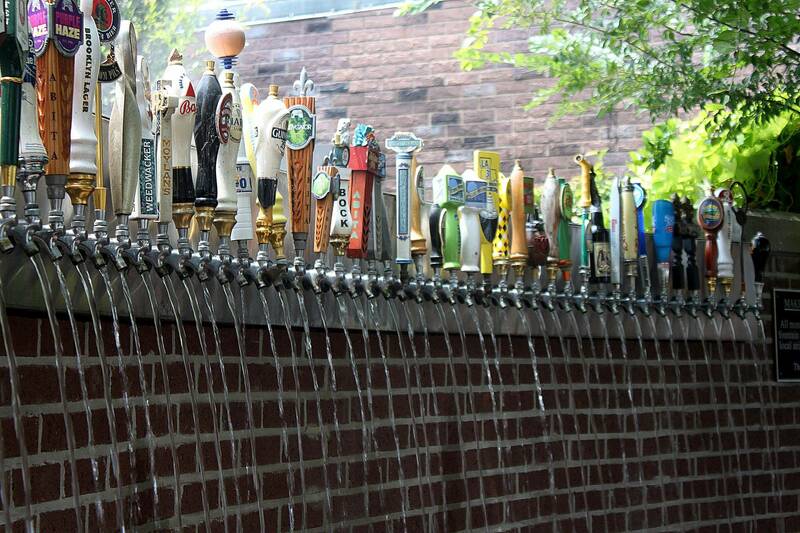 The idea of a public beer fountain is not welcomed by everyone. Some are in opposition to the beer fountain stating that the money being provided by the taxpayers could go to better use. It is true that the fountain will not be cheap, but the hopes are to attract more tourists to the area, increasing local businesses and economy. Overall, we say this is a win for the people over at Zalec. Downtown Las Vegas is the perfect place to be if you are looking to mingle with the locals. Get all the excitements of the Strip without having to dish out tons of money. Contact Vegas Pub Crawler to set up your tour of all the bars DTLV has to offer.